Are You Using the Right Ecommerce A/B Testing KPI? Blog Home › Conversion Testing › Are You Using the Right Ecommerce A/B Testing KPI? For the past several years, ecommerce and other organizations have invested more resources into running A/B tests on their websites. A/B testing platforms, like Optimizely, have made it easier for digital marketers to try their hand at running A/B tests, and these platforms allow teams to conveniently track transaction and revenue as goals. If this is the case for your organization, it’s important to ensure that you’re making the best decision based off your test results. Below we’ll identify 3 KPI’s that are commonly used in ecommerce A/B testing (i.e. conversion optimization) and discuss why Revenue Per Visitor (RPV) is the best KPI to rely on for ecommerce testing, and more importantly, for making business decisions. It’s reasonable to believe that a test that improves transaction rate should be good for the bottom line of the business. In fact, it makes your paid marketing efforts (e.g. PPC, paid social) more cost effective because increasing transaction rate means you’re converting more of your current visitors. In theory, by increasing transaction rate your business should be getting more revenue from every dollar spent on paid marketing efforts. However, this is not always the case. For example, let’s say an ecommerce company decides to run a test on their product line-up. Specifically, they want to use a banner that calls out the “most popular” item. After running an A/B test, the company finds that the variation successfully increased overall transaction rate by 10%. What the transaction rate KPI doesn’t reveal is that even though more of the visitors were converting (resulting in increased transactions), the “most popular” label drove some visitors to choose one of the lower priced products ($25 and $50 items) instead of the highest priced product ($100 item). This in turn led to the variation having a lower AOV ($42.05 vs $47.50). 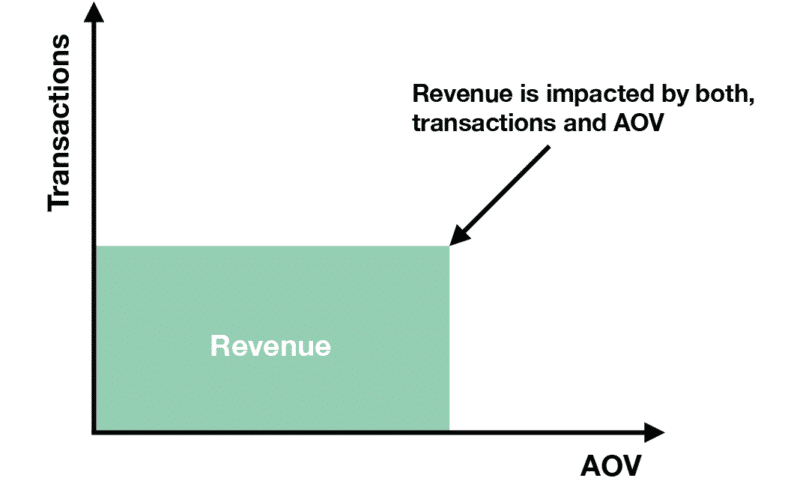 In this case, the decrease in AOV ended up having a significant adverse impact on revenue. If the company implements the “winning” design based solely on the transaction rate performance, ultimately they would be losing revenue — not the best business decision. For example, let’s say the ecommerce business wants to run another test on their site, specifically focusing on the impact of providing free shipping to customers. 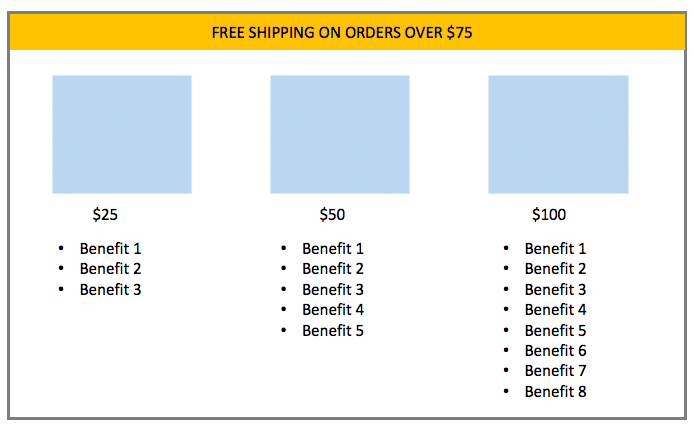 Instead of providing free shipping on all orders the company wants to set a spend threshold. The test hypothesis is that the spend threshold will encourage visitors to buy the higher priced item to qualify for free shipping. What the A/B test results show is that even though the “Free shipping over $75” led to a higher AOV, it also caused a decrease in transaction rate. One reason for this could be because there were frustrated customers who wanted free shipping, but didn’t want to spend the extra money to qualify. As a result, instead of choosing a lower priced item (where they would have to pay for shipping) they chose not to purchase. Thus, for this test the transaction rate had a far greater impact than AOV, which caused a decrease in the company’s bottom line, revenue. The most significant risk to tracking only one KPI is that your team may be blind to what’s really happening with performance. Click & Tweet! So far we’ve discussed two popular KPIs that are commonly used for ecommerce A/B testing. We’ve seen the potential pitfalls that can occur when you focus on just one of these metrics. The most significant risk to tracking only one of these KPIs is that your team may be blind to what’s really happening with performance. That leaves your team vulnerable to making business decisions that will actually hurt the bottom-line, instead of improve it. What the previous A/B testing KPI examples highlight is the need for a KPI that accounts for transaction rate and AOV, since both play an important role in determining revenue. In both instances, RPV would have accurately reported that the variation had a negative impact on the bottom line, ensuring the company would make the right business decision not to implement the variation designs. Essentially, RPV is the KPI that provides reliability for your ecommerce test results, something that transaction rate or AOV alone cannot offer. In addition to using RPV for A/B testing purposes, it’s also worth utilizing to monitor sales performance. Specifically, if your RPV is trending downward, this could be the result of an increase in unqualified users to the site (e.g. your team launched a new social campaign) or potential site problems (e.g. issues with the payment page), which negatively affects your transaction rate. 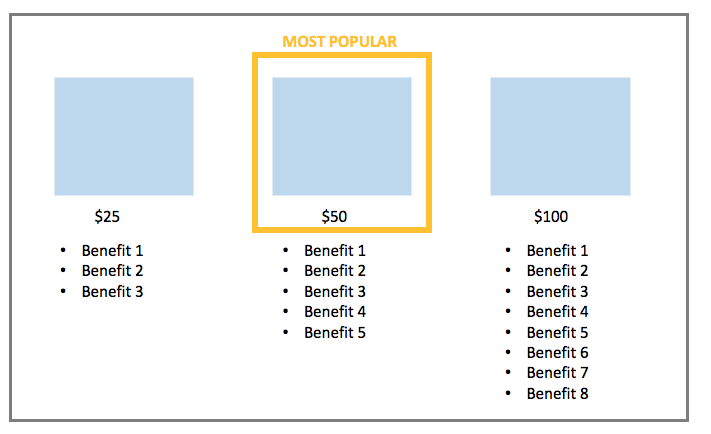 Alternatively, site visitors may be converting at the same rate but are spending money on lower value items (e.g. higher priced product is out of stock), which negatively impacts your AOV. Monitoring RPV provides you with another way of diagnosing potential issues with the site’s user experience, and allows you to take meaningful action. If you are conducting A/B tests on your ecommerce or other transaction-based website (e.g. 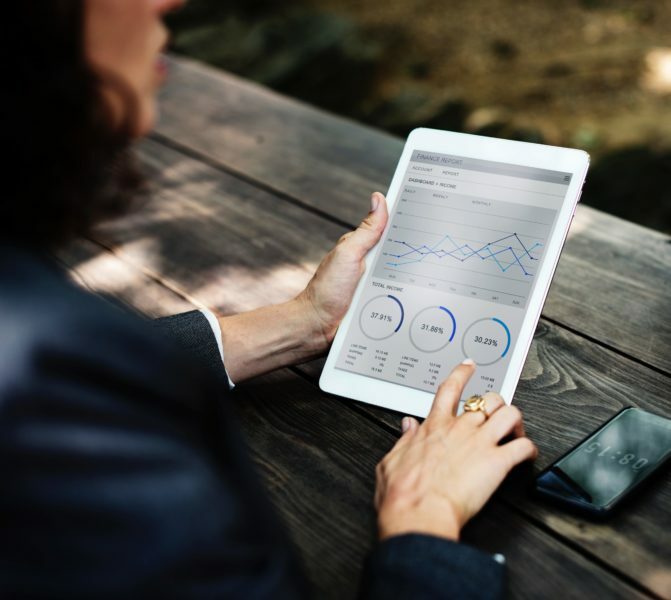 SaaS), it is imperative to understand how test performance is being measured in order to determine if the right business decisions are being made. 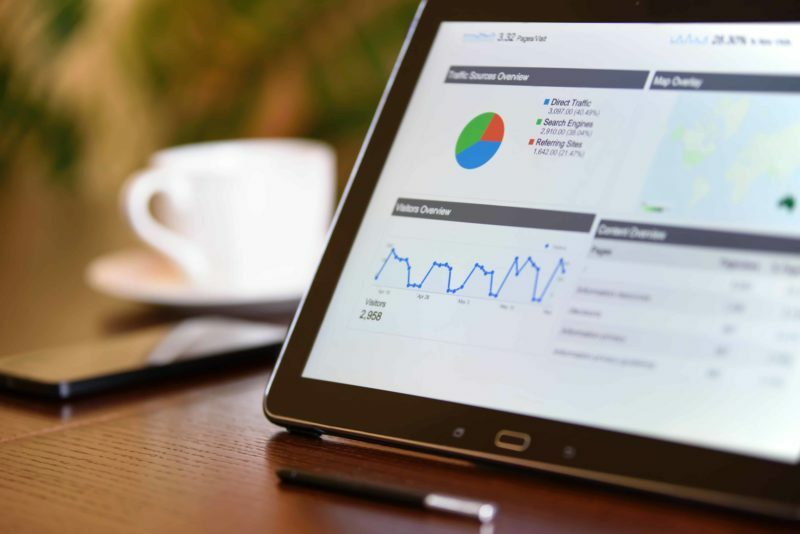 If you find that your team currently isn’t tracking revenue per visitor, and are interested in changing to this better ecommerce KPI, have them reference this blog post that outlines how to leverage Google Analytics for user level revenue data. The post also introduces the free Revenue Per Visitor (RPV) Confidence Calculator, which calculates statistical significance for RPV data. It also provides a way to ensure that the A/B/n test results you’re seeing are having a meaningful and sustainable impact on your organization. Thanks for reading! I’d love to hear your thoughts on this post, as well as the Revenue Per Visitor (RPV) calculator we created. If you have any questions, please post them in the comments. Roopa Carpenter is Blast’s Director, Optimization. 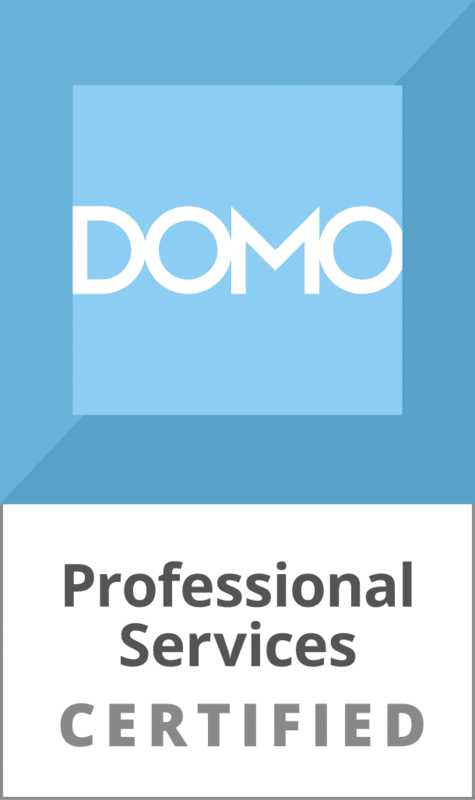 She has many years of experience driving conversion rate optimization strategy, test implementation, and results analysis for lead generation and ecommerce clients. Her goal is to utilize data-driven testing to optimize UX for site visitors while impacting bottom-line metrics for her clients. Roopa Carpenter has written 4 posts on the Web Analytics Blog.